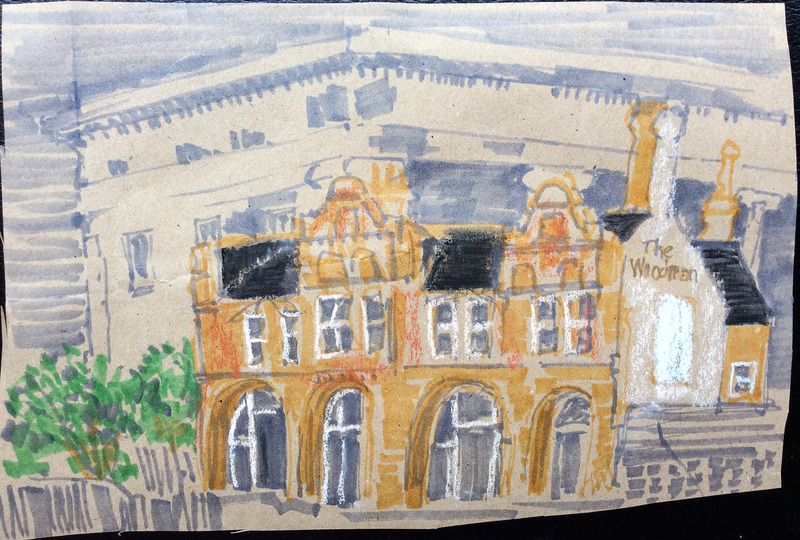 This entry was posted in Media - Drawing, Sketches - Scenery and objects and tagged art, arts, Birmingham, drawing, painting, urban sketching, watercolour. Bookmark the permalink. Dig it. It might be fun to try using each color as a different value instead of a different thing, even if the actual value of the ink isn’t close to the value you’re seeing. That’s kind of it. But it challenges my thinking. But then, that is the point. I’ve fallen into the same trap too in some recent sketches! Always worth experimenting and hoping you remember the point when youvtry next time.